My skin hasn’t been looking it’s best of late. Late nights, early mornings and a general feeling of meh has left my skin looking pretty dull and lifeless. When we’re feeling pretty crappy on the inside, one of the first places it starts to show on the outside is your face – stress breakouts, dark circles. Sometimes beauty sleep just isn’t enough! 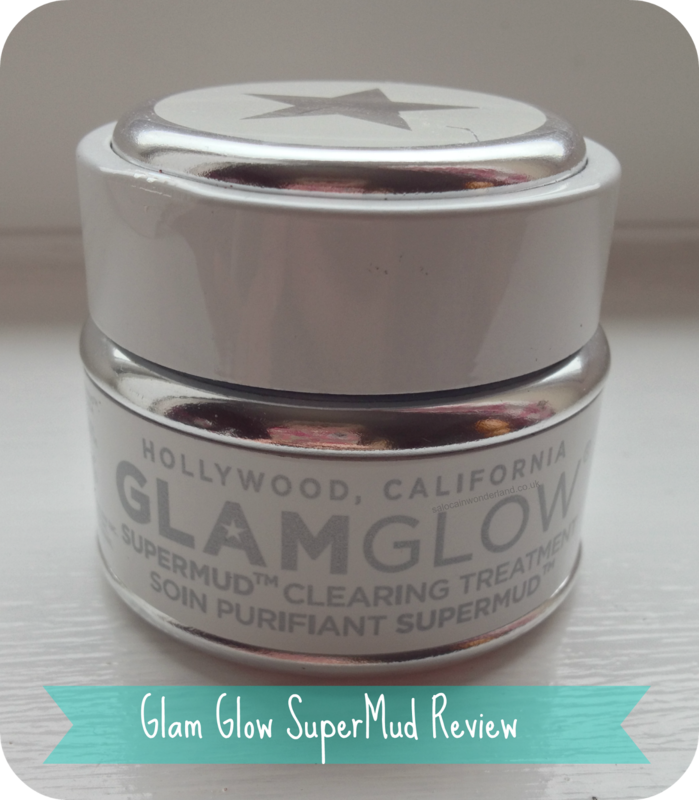 Bring on Glam Glow Supermud Clearing Treatment. Designed for Hollywoods elite to get their skin soft, supple and glowing for the camera, Glam Glow promises to detoxify skin, brighten and even skin tone, improve elasticity, de-clog pores and fight breakouts. That’s a pretty big promise for such a tiny jar if you ask me! RRP for a 34g jar is £45…ouch! It’s on the expensive side for sure, I picked mine up in Sephora in Barcelona for around 40euros, so not a huge saving there. 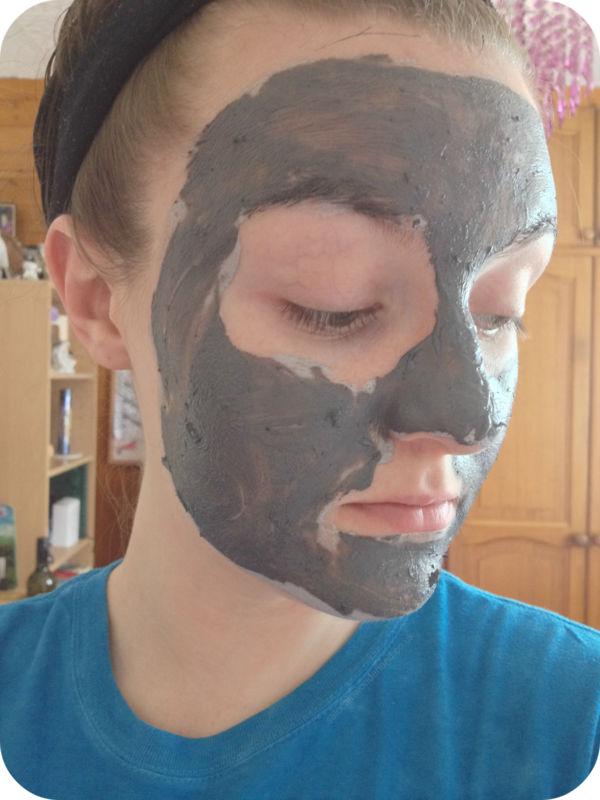 Though the jar is pretty small you need only the thinnest layer when applying a full face mask. Glam Glow say this jar will proved 17 treatments or 1,000 spot treatments. So when you think of it that way it does bring down the cost a teeny tiny bit! After a good cleanse and a patted dry face I smooth on a thin layer of the mask all over my face, avoiding the eyes and mouth area. Thin layer is key here if you want to get any kind of longevity out of this one! The mask smells amazing, very minty fresh! It also has these, let’s say clumps (?) of green tea leaf...which I’ll be honest, as the mask is drying, they’re pretty fun to pick off! The mask takes around 10-15 minutes to dry. The thinner the layer, the quicker it will dry. So pop the kettle on, paint your nails, catch up with some YouTube, you’ve got plenty of time! When the mask starts to dry you’ll know about it – I actually imagine if you were to stare Medusa straight in the eye and turn to stone it would feel exactly like this mask drying! Don’t expect to have a conversation or drink without a straw once this has set that’s for sure! Now if you look not too closely as the mask dries, you will see these dark little spots appear – this is the good, yet gross stuff! This is all the excess oils, dirt and sebum being dragged, kicking and screaming from your pores! Hurrah! Once the mask has completely dried I simply remove with warm water. I rinse my face in circular motions until the mask is completely washed off. You might have to change the water a few times, it gets pretty dirty fast! Once it’s all washed off I rinse my face with cold water to close and tighten my pores then pat dry with a clean towel. My skin instantly feels smoother and looks clearer and brighter. My pores look smaller and thoroughly cleaned out. I’ve also noticed it helps reduce redness around any breakouts I might currently have. Win win all round if you ask me! Now this mask can increase photo sensitivity meaning your skin is more susceptible to sun damage for a few hours after using this mask. With this in mind, I always use the mask in the evening – my skin still looks bight and fresh in the morning! If you’re going to use this during the day be sure to lather on extra sunscreen! I’ve been using this mask since April and I’ve easily got 10+ uses before I’ve started to see the bottom of the jar peeking through! That brings the price down to under £5 a treatment so far which is still a little pricey when you can pick up 99p masks. That being said, I am in love with this mask and would seriously consider buying it again. My skin looks and feels amazing, very smooth and clear and when my skin is looking good, I feel about ten times better – and you just can’t put a price on that! Have you tried Glam Glow? Let me know in the comments below what you’re favourite face mask is! I've not tried GlamGlow yet but I do really really want to, the price tag puts me off though! If only you could pay per usage haha, I just don't have the upfront cost! You could always try your local counter and see if they will give you a sample, I know Sephora does this but we don't have one in the UK! It's the first thing by Glam Glow I've tried but I'm SUPER impressed! It's just so expensive! Its great that it works so well.. but.. EXPENSIVE! Just don't think about the price and hand your card over to the sales assistant haha! Get it on the Christmas list! It's amazing! A total luxury but worth it if you ask me!